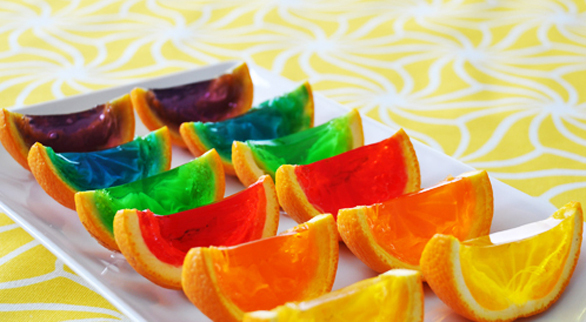 Keep your children busy this afternoon by making up these refreshing Halal Rainbow Gelatin Orange Wedges for Iftar tonight! 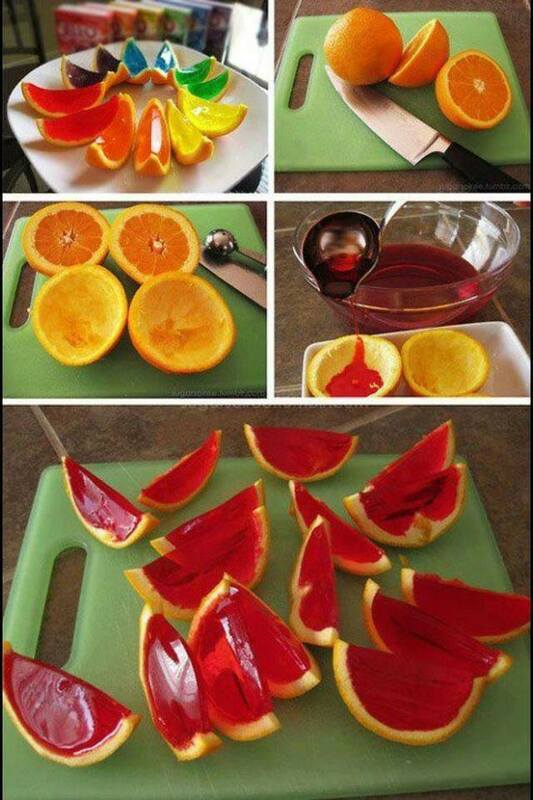 You will enjoy this thirst quenching treat, and your children will love creating this fruit shaped like another fruit. Drop in some blueberries or chopped up grapes for some added texture and flavor!